Don't stop till you get enough! Our Wadalba students were blessed to perform alongside some of the Central Coast’s most talented dancers on the 10th December. D3 studios ran by the wonderful Darren Disney, kindly invited our students to share the stage with them at their end of year dance concert this year in Wyong. Rocking it with their MJ hats and suspenders, the team performed their new Michael Jackson routine and brought the house down with their radiant confidence and flair on stage. Our students can’t get enough of being on stage, they absolutely love it. We want to thank Darren and the team at D3 for having us at their concert and for supporting Perform-Ability over the years. On the 28th November, one of our newest Perform-Ability students had her first performance with us, and she was an absolute superstar. “Freya The Famous” started her Perform-Ability journey with us late this year at our new program in Ashfield with Miss Nadia and just a few weeks later, she was asked to perform a solo routine at the annual showcase for The Australian College of Dance. She absolutely stole the show with her rendition of “Shake It Off” by Taylor Swift. “Freya - sorry - “Freya The Famous” was an absolute diamond last night. By my side, side stage, she wasn’t fazed by the huge crowd and was just gorgeous on stage. It was such a pleasure to have Freya and her family at our big night.” Helen Rawlings, Australian College Of Dance. We would like to thank The Australian College of Dance for having Freya as a part of their showcase and for the wonderful support they have for our Perform-Ability program. To find out more about our classes, get in touch with us at info@perform-ability.com. There are always so many wonderful events in Australia each December as we celebrate IDPwD within our communities. This year, we were a part of the Blacktown Picnic in the Park where we celebrated our differences, our abilities and our talents. Our superstar soloist dancer, Matthew Lloyd, travelled from the Central Coast to perform his Bruno Mars solo and wowed the crowds. Home Care Heroes and Miss Miranda followed his performance with their dance workshops where the audience got involved and showed Blacktown the biggest dance party they have ever seen (we like to think!). It was such a fantastic day of performances, activities and more by local service providers and businesses, all showing their support for IDPwD. We are now on all pipes! We know you love seeing what our talented students are up to, so we have made it easier to follow our stars! 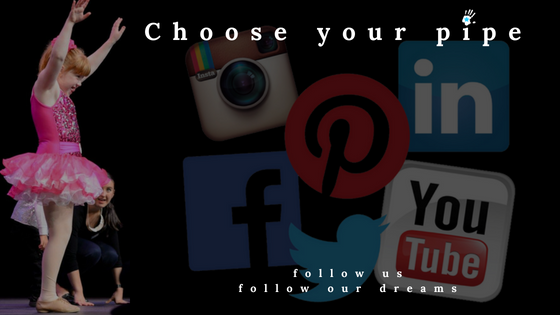 You can now follow us, like us, tweet us, connect with us and pin us!